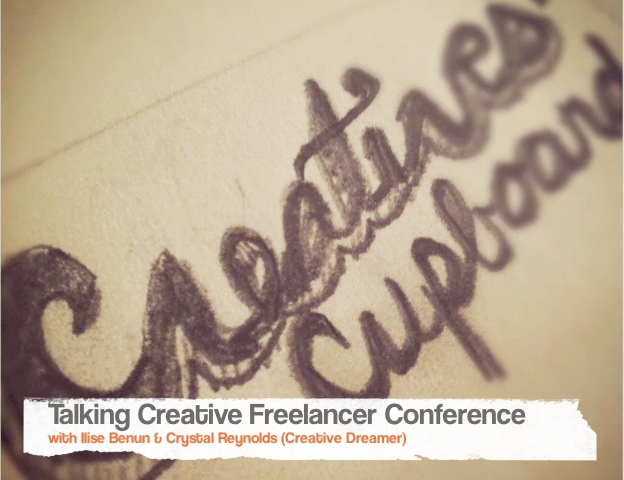 The connections I have made got around to Ilise Benun, the Marketing Mentor guru and creator of the Creative Freelancer Conference. I will be travelling to Boston this year to attend the CFC and word got out that I have been busy since my HOW experience last year. The last time I saw Ilise it was after 3 days of the 6 of the HOWLive Big ticket conference and I was overwhelmed and wondering how I was going to take in any more inspiration with another 3 days to go. I had a hoot filling Ilise in on my last year and of course my baby, Creatives’ Cupboard project. I am making headway and look forward to sharing big news soon! Until then – here is our interview with a special surprise ending – a small slide show of the last conference and the people I have met over this past year who have helped to inspire and really support me. All with my latest ‘theme song’ which I love the message: What doesn’t kill you, makes you stronger!